Investing: a lot of people interested, but none possessing enough knowledge. That is the reason why a couple of years ago VEK Recruitment decided to give students the opportunity to delve into the stock exchange. The result? The VEK Investment Club! The previous years some remarkable results were booked. Although, results from the past are no guarantee for the future, but what can be guaranteed is a hands-on approach of how to evaluate stocks and track down interesting opportunities. None less than Tom Simonts, Senior Financial Economist at KBC, will explain how to analyse companies and select the legitimate shares. This year inscriptions were organised so we could raise the amount of members (from 40 to 60) and make the deposit fluctuate between €100 - €600 (in increments of €100) in exchange for voting rights regarding the selling/buying of certain stocks. Resulting in a total budget of €20.000, coming from €5000 in the previous academic year. The ABC for investing was reorganised and a raging success. This event has the goal to provide the necessary information to get started on the stock exchange. Furthermore, we visit a company and participate in a virtual investment competition. Discover some recent movements via the link below and stay informed following our Facebook page ‘VEK Investment Club’. We spreken november 2016: het Belgische postbedrijf bpost biedt voor een tweede keer op het Nederlandse PostNL. In mei waren de gesproken nog afgesprongen, onder meer omdat politiek Nederland in roep en roer stond. Ook deze keer wordt het bod van de Belgen, dat tussen de 5 en de 6 euro zou bedragen, niet aanvaard. Ook een finaal bod van 5,56 euro wordt van tafel geveegd wegens “te laag”. In een persbericht meldt PostNL dat alle vertrouwen in heeft dat het zijn strategisch plan alleen ten uitvoer kan brengen en dat de resultaten aan het verbeteren zijn. Voorbeurs maakt PostNL resultaten bekend, die tegenvallen. Het postvolume blijft afkalven, waardoor er nog meer besparingen nodig zijn. Het management verlaagt ook de middellange termijndoelstellingen. 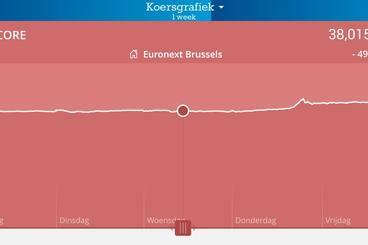 De koers reactie is navenant: het aandeel neemt een duik van maar liefst 17% naar 3,26 euro. Een bod van 5,56 euro werd anderhalf jaar geleden nog als te laag bestempeld, nu houdt dat een koersstijging van 70% in. En de Belgen? 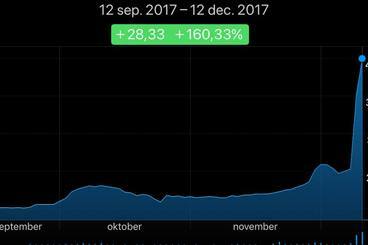 Die lachen in hun vuistje: Bpost blijft record na record neerzetten en schuurt tegen een all-time high aan. Na Tigenix en Ablynx wordt er alweer een nieuwe overname bekend gemaakt: het Franse Gfi neemt Realdolmen over voor 37 euro per aandeel. Het betreft een vriendelijk bod dat de steun geniet van de raad van bestuur en de twee grootste aandeelhouders: de familie Colruyt en de familie Vande Vyveres (bekend van Matexi). De IT sector maakt een consolidatieronde mee en Realdolmen vreesde achter te blijven als een kleine garnaal tussen de grote vissen. As most Snapchat users will have noticed in the meantime, the app has undergone some radical changes. Together with these changes, the results of the fourth quarter were also announced and they were better than expected. Sales rose sharply, but more importantly, the number of active users accelerated for the first time since the IPO. The price promptly responded with an increase of more than 20%. It will only happen to you: the day that you, as CFO of a listed company, announce that you will step out and the share price will rise by 3.5%. That is what happened today with Royal BAM Group nv. The Dutch company has had a lot of problems with projects, both operational and financial, in recent years. The new CFO is therefore facing a number of challenges. To add: the price-earnings ratio is 13 and the lowest price target of the analysts is 4 euros. 6 of the 7 analysts also provide a purchase advice. 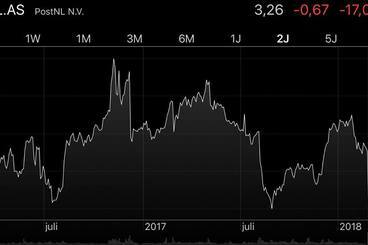 The Danish Novo Nordisk offers 28 euros per share for the Ghent Ablynx, with possibly 2.5 euros above it, depending on research results. A first bid was already rejected by the board of directors, so that the Danes now come with a hostile, improved second bid. It values Ablynx at 2.6 billion euros. On Friday there was the takeover of Tigenix by the Japanese Takeda. 2018 thus started with two serious acquisitions in the Belgian pharma / biotech country. Still looking for a Christmas present for tonight? Maybe you could ask a share of Berkshire Hathaway under the tree. The company of Warren Buffet, known as the most successful investor of all times and one of the richest people in the world, cracked the border of 300.000 dollar per share last week. Less wealthy people who still want to get their part of Buffet’s stock market performance: there is a B share as well, which “only” costs 198 dollar. News of the day: Greenyard Foods is about to do an acquisition of millions of dollars. The deal is explained through 5 questions in the article behind the link. The share price however, seemed not really impressed and the shares dropped by 0.5%. The fact that there should be a need of twice as much money as their current market value, may explain this. Who needs bitcoin when you have Argen-X? 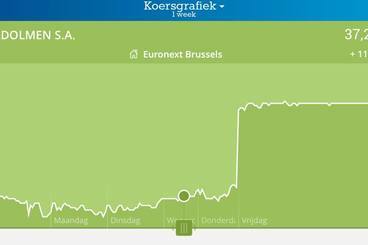 Yesterday, the Belgian biotech company revealed its unexpected and excellent results. The share price skyrocketed a 50% higher and made the company worth more than a billion euros. Today, the Ghentian company – a spinoff of Ablynx – announced that it would like to pick up another 150 million euros on Nasdaq. Result: the share price jumped another 17% higher. Over the past three months, the share has increased by 160%. Yesterday, Snap Inc., the mother company of Snapchat, revealed disappointing results again. 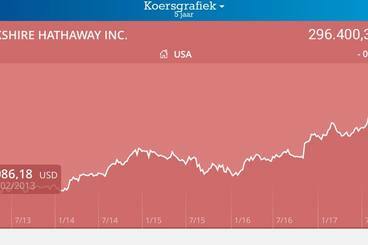 The company went to the stock market at 17 dollars per share in the beginning of March and went 44% higher on the first day, till 24 dollars per share. Today, the company’s shares are worth 13.5 dollars. Investors did not really have fun with this one yet. 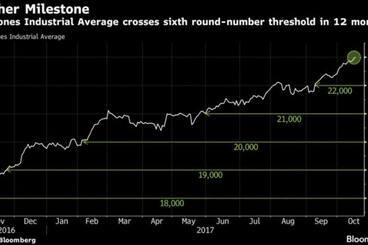 In the beginning of august, the Dow Jones broke the border of 22.000 points for the first time. Today, the border of 23.000 will be reached. Going to 24.000? Or maybe a correction? 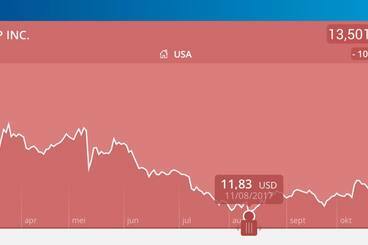 No, the Belgian Umicore is not on the verge of bankruptcy and has not revealed disastrous figures. What could then possibly explain the loss of almost 50%? A stock split! As explained in the ABC, this means that the current amount of shares is split up in a certain number of new shares. In this case, for each old share of Umicore, you get two new ones! Good news is always appreciated in the share price. Ablynx comes with excellent news about their product Kapla, which is prepped for distribution in Europe and the United States. 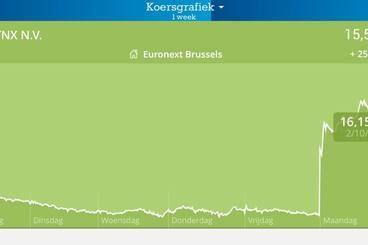 The share price reacted correspondingly: +25%! 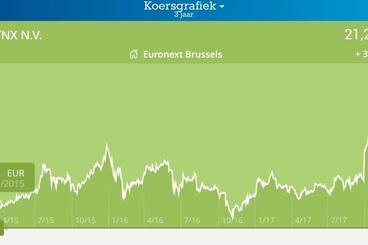 KBC Securities increased the price target of 15.5 to 19.5 euro, so theoretically, there is still some elasticity on the share price.